Have you signed up for my free newsletter? Free Fairy Quilt Patterns are a little girls dream. I made one for my grand daughter (see below) and she loved it even though it was not in soft pink or purple. 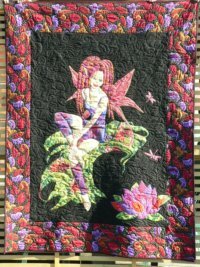 When searching for quilts with fairy designs on them to place on my site I found that there were not many to choose from. So I added angels and pixies as well. 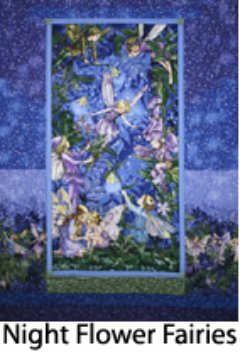 Most of these patterns use fabric panels and when looking in several quilt shops they all had a range of angel and fairy panels. Michael Miller Fabrics has been the source of most of the patterns below. They offer a great range of fabrics to work with each of the patterns displayed on this page. When you visit their site make sure you view each patterns complete collection of fabrics - just so amazing! Pattern courtesy of Michael Miller. Night Flower Faries Quilt Pattern. Pattern courtesy of Michael Miller. 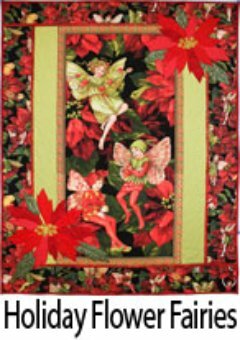 Holiday Flower Fairies Quilt Pattern. Pattern courtesy of Michael Miller. 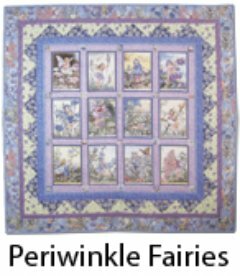 Periwinkle Fairies Quilt Pattern. Pattern courtesy of Michael Miller. 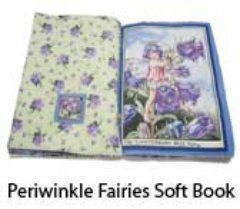 Periwinkle Fairies Softbook Pattern. Pattern courtesy of Michael Miller. 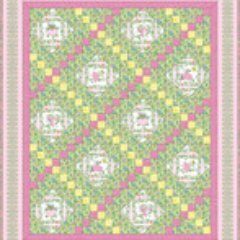 Pixie Wood Squares Quilt Pattern. Pattern courtesy of Michael Miller. 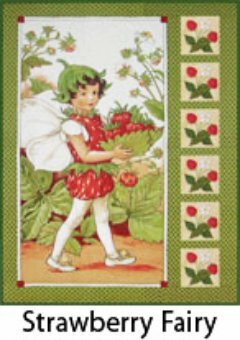 Strawberry Fairy Quilt Pattern. Pattern courtesy of Michael Miller. 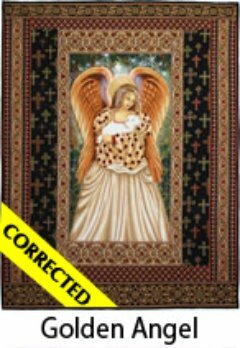 Golden Angel Quilt Pattern. Pattern courtesy of Blend. Fairy Garden Quilt Pattern. 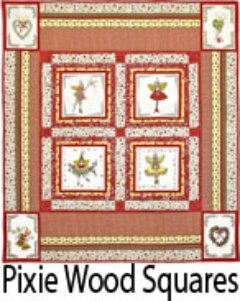 Arbee Designs Ltd have 2 fairy quilt patterns. If you would like to create your own fairy design to applique onto a quilt then I suggest you have a look at Creativity Amongst Chaos. Here Cori details her freezer paper applique technique in great detail. Every step is photographed as well. Check out some of her quilts where she has used this method of applique. Cori's artistic skills are exceptional but if you prefer someone else to draw your applique designs then look in children's coloring books, children's picture books or images on the web. My fairy design came from one of the minky blankets we had bought. Sign up for my newsletter below! Like the page? Let me know! (click the button). Come be social with me - click here! How there's so much free information on this site. Sometimes I recommend a product(s) that I have used & loved when making my quilts etc. If you buy something through one of these links, I receive a small commission which allows me to design & make more quilts! There is no extra charge to you, and it helps keep my information/patterns free of charge. To learn more please see my affiliate disclosure document. Pattern available for the Conical Felt Tree! Cassie is having fun decorating her Christmas tree! The pattern will be available at the end of October 2018.